Last edited by JeffreySource; Feb 27th, 2010 at 19:18. Looking forward to your show Joe-Shadows ! Last edited by danmark_ori; Feb 8th, 2010 at 06:48. ♫ Pure Trance ♫ Puppet !! 54 AH Member Has Voted Within 2 Weeks " Choosing 50 Tunes From A Total of 250 Suggested Tunes "
Last edited by Joe-Shadows; Feb 7th, 2010 at 16:46.
.:: Myspace | Facebook | FB Profile | Twitter | Youtube ::. Have a fantastic celebration here today! Congrats on your 1 year anniversary buddy! Can't wait for your 4 hours set! It has truly been my pleasure! Good work Joe! True to trance forever! 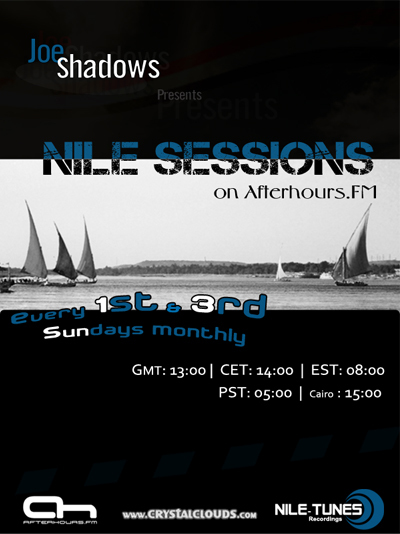 It is a very important milestone in your career here on Afterhours.FM! It will be magical episode I am sure! See you in ~20 minutes! Last edited by Lucas; Feb 7th, 2010 at 11:51.